Awards season is upon us, and with it an astonishing amount of biopics. “Same procedure as every year” I guess (check here if you don’t understand that reference). 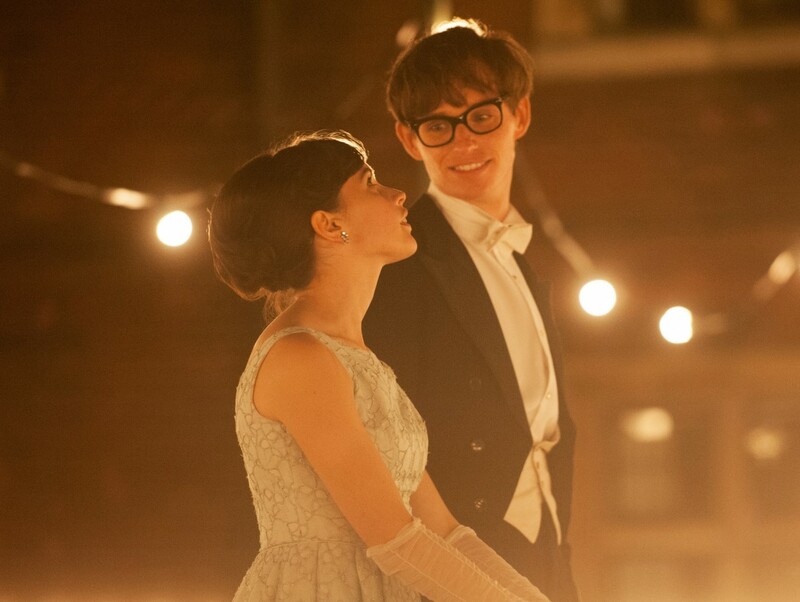 Anyhoo, after seeing The Imitation Game (which I didn’t review, but it was a great movie), The Theory Of Everything is the second contestant I’ve checked out. And it’s got serious chances of winning (at this point, Eddie Redmayne already has a Golden Globe for Best Actor). 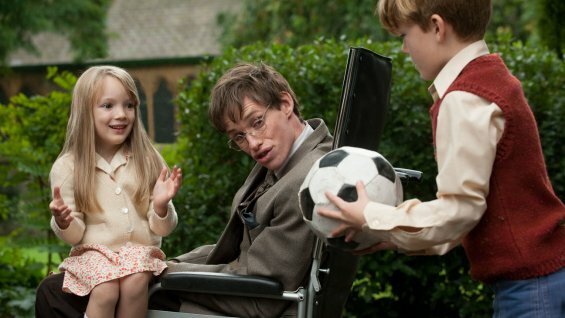 The story is based on Jane Hawking’s biography describing her life with the world famous physicist. But more than just a slow countdown from healthy Stephen to not-so-healthy Stephen, it’s a love story. And not just the two main protagonists. We start in Cambridge in the 60s. 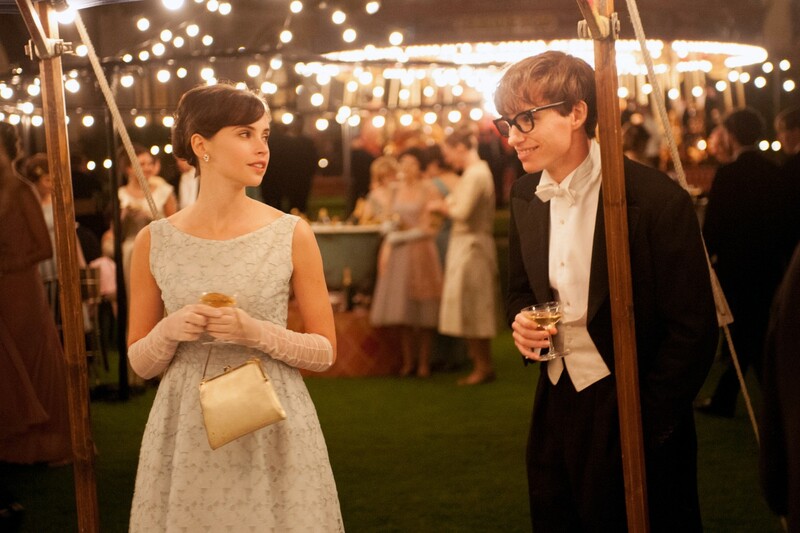 Young Stephen (Eddie Redmayne) is a shy PhD student who meets equally shy Jane (Felicity Jones) at a house party. Though at first their degrees (physics vs art) and religious beliefs (atheist vs C of E) seem to separate them, the two start getting close. Initially everything is going smoothly, but as Stephen slowly notices changes in his body, he decides to go see a specialist. When Motor Neuron disease is diagnosed, he’s only given two years to live. Convinced of impending doom, Stephen starts to shut Jane out, but she won’t let him. As we slowly move forward in time, we see the couple marry and have children. Stephen finishes his PhD, blowing the minds of some seriously smart people in the process, and decides to refute his own theory. Jane has become his full-time carer and is finding it hard to deal with everything by herself. Encouraged by her mother, she joins a Church choir and meets Jonathan (Charlie Cox), who will become a friend and fellow carer for Stephen and the children. But while the two-year sentence has long passed, Hawking’s disease is still deteriorating his health, leading to fatal consequences. I’ll stop here to force you to actually go see the movie. You will smile, you will laugh, you will cry (or at least feel tears prickle your eyes). One way or the other, you’re bound to feel something for this outstanding movie with an amazing cast. 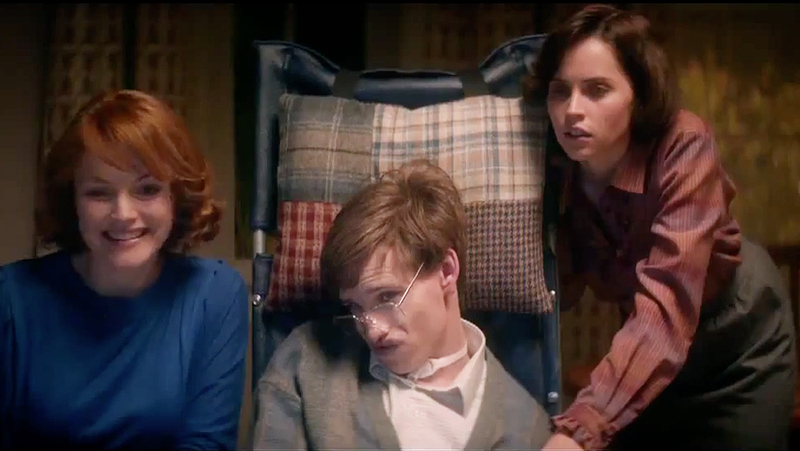 Eddie Redmayne is convincing as Hawking in every gesture and expression, while Felicity Jones just radiates love and strength. Charlie Cox (yes, the guy from Stardust) is added eye-candy and finally back on the big screen. 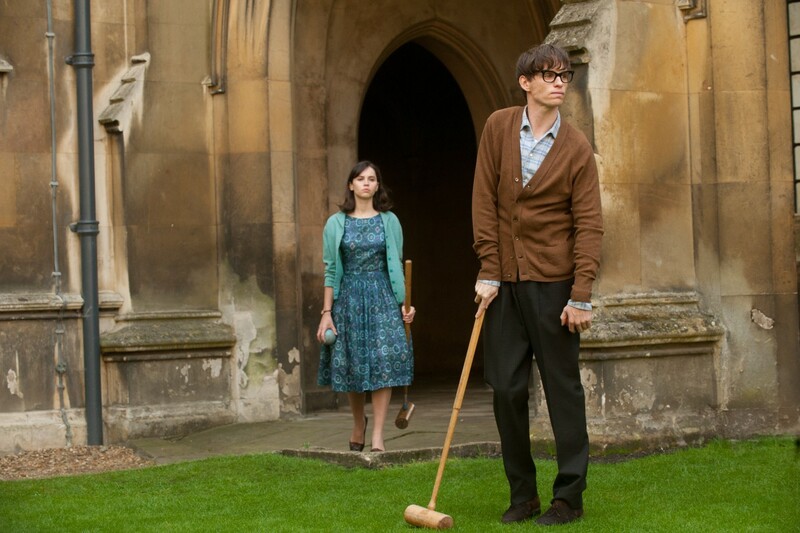 Tags: eddie redmayne, felicity jones, jane hawking, Lauranne heres, physics, stephen hawking, the theory of everything. Bookmark the permalink.